We are at the High Grounds Coffee shop in Quezon City and we're witnessing something cool from our friends from Predator. "We were approached by ONE Championship and hopefully we would be the destined kings in our respective fields. 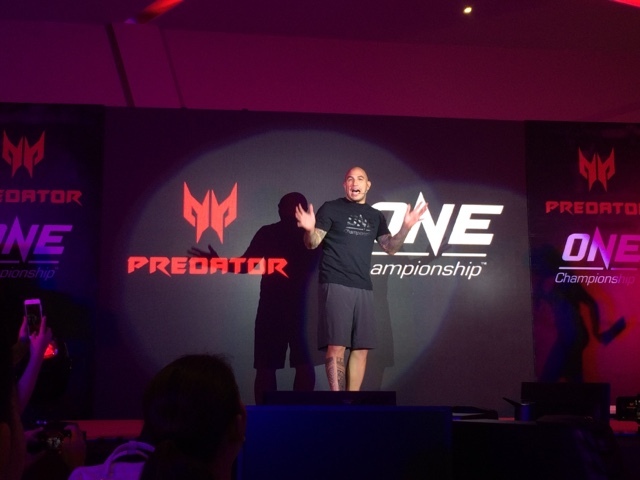 Predator is supporting ONE Championship and one undercard match. There's 9,000 dollars worth of Predator laptop (Predator 21X) to take home if they win on that particular fight. They need to win it because they'll be lucky. We're also going to unveil one relevant surprise as well on fight night. Follow Predator Philippines on Facebook as we also give out tons of stuff very soon." -Mr. Gozun of Predator. 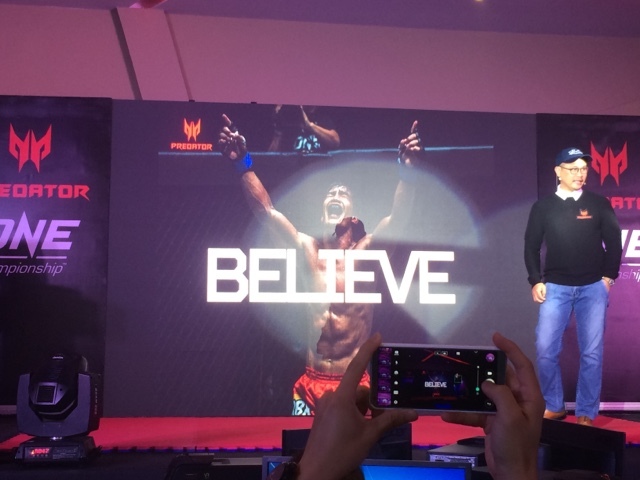 Rich Franklin VP of ONE Championship adds "The people here are so amazing, I've been here so many times but I've been testing the games out and if you're a gamer, you have to be above and beyond your skills, we are all competitive and it takes serious amount of training for competitions. Training days are much not like Rocky, we wake up on our own time, warm up, cool off, no physically difficult sessions because rest is important too. Get up in the morning to up the heart rate, don't fight the fight before the fight. You just run through it, you prepare ahead, just like in egames. We have a lot of Filipino fighters on Friday at MOA Arena. It will be also broadcasted live on ABSCBN. When you see the fight on Friday there will be many rules, and we'll show that in a bit." And they did! It was painful! So people make sure you like the Predator Philippines Facebook page today to get updated about the fight this coming Friday. You can also check out information about the dream gaming laptop Predator 21X on these channels too!